Ah peanut butter. 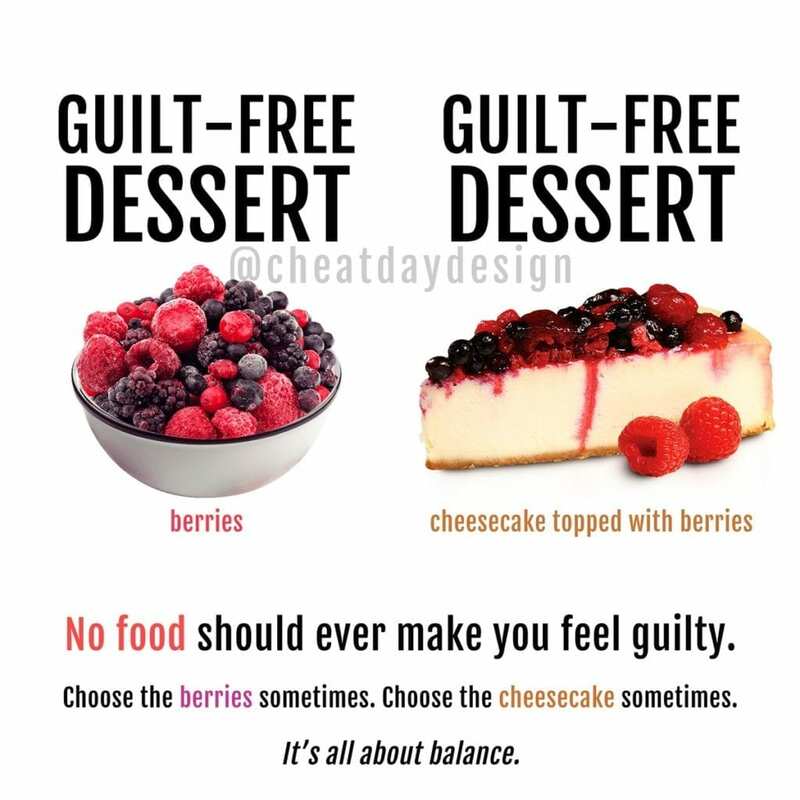 The answer to the questions “does the perfect food exist?” and “what is the absolute worst thing in the world you could be allergic to?” If you don’t agree that peanut butter should be a food group, you belong in an insane asylum. I really enjoy flavored nut butters (heh, nut butter). Birthday cake, cookie butter, cinnamon raisin.. mmmmm. 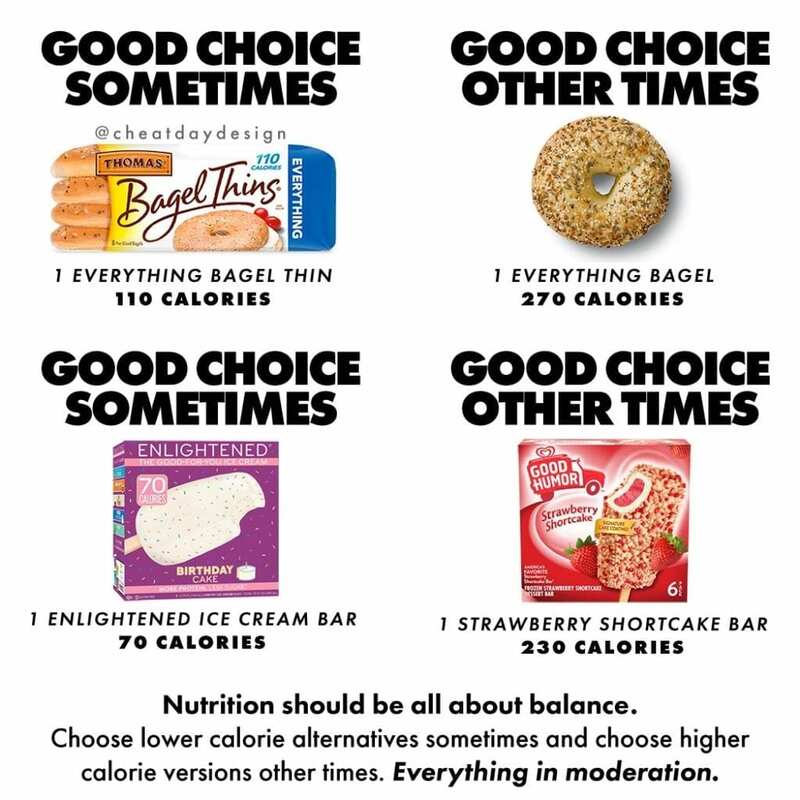 In those cases, going with a healthier option that isn’t just peanuts + pure sugar is not a horrible idea. 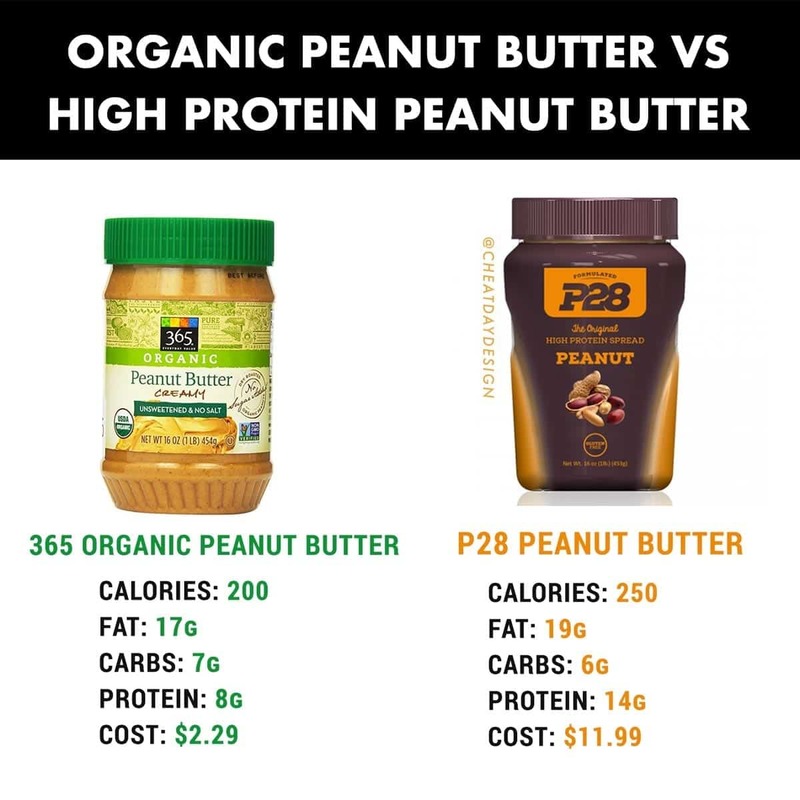 But in the case of regular ol’ peanut butter, in my eyes it’s silly to spend extra money to pack in a little more protein. Organic peanut butter can be expensive, but not if you know where to shop! @wholefoods (Trader Joe’s too) is a great place to get organic peanut butter for cheap. Really cheap. 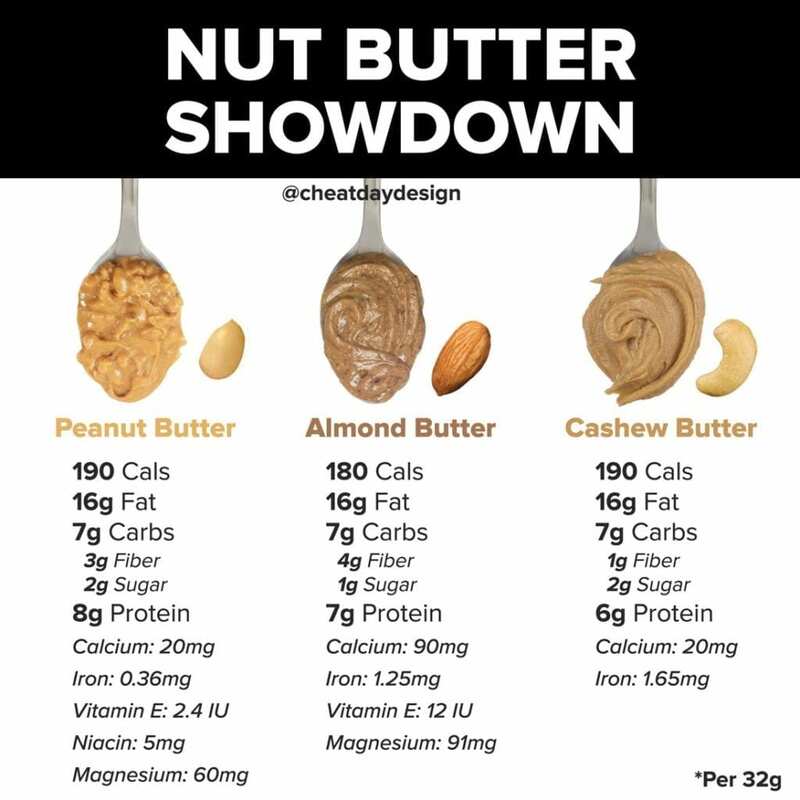 The macros for protein peanut butters are pretty solid, because they are essentially just peanut butter and flavored whey of some kind. One of the problems for a lot of people though is the addition to xylitol in most of the flavored peanut butters (a sugar alcohol). It causes many people discomfort, and if you didn’t know, it can be extremely toxic to dogs, so don’t share with your dog. 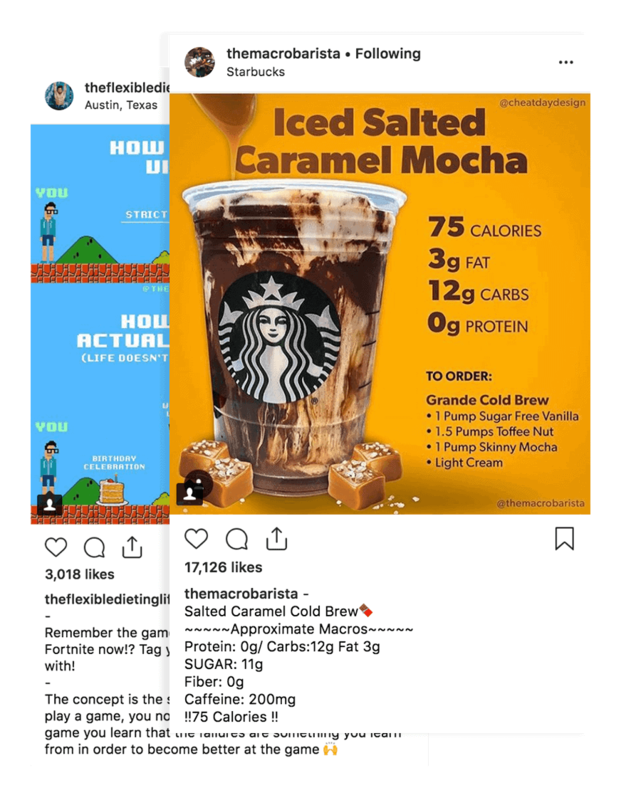 I for one do not care too much about the sugar alcohol, but in my mind, an extra 6g of protein in my peanut butter is not worth an extra $10! 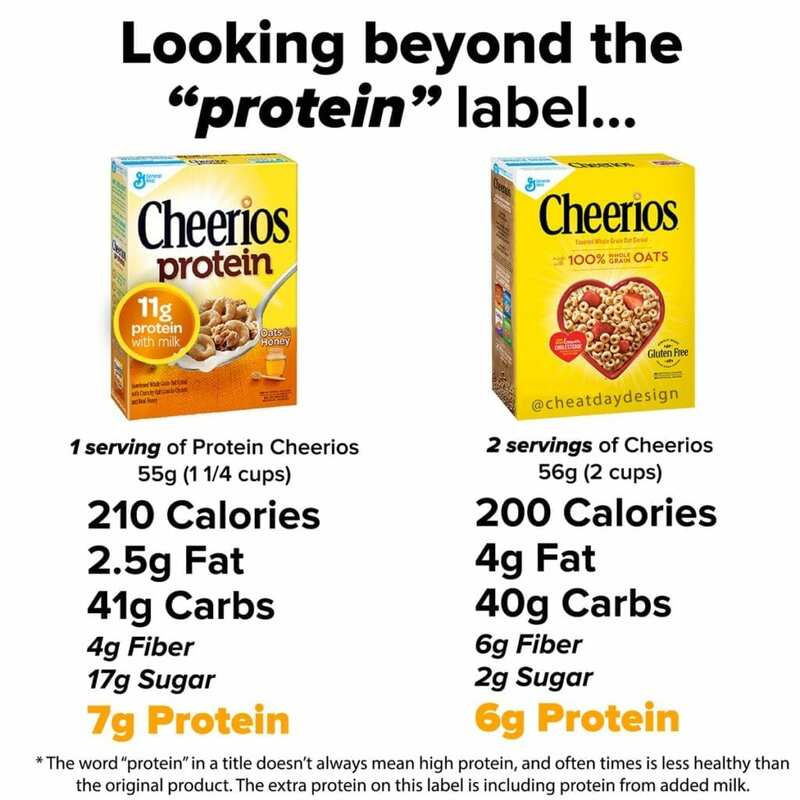 If you were to eat 250 calories worth or organic peanut butter, you’d be getting 10g of protein, which is pretty dang close.